” I lay on a pile of cow crap and nettles, peering uselessly through weeds growing on a wire fence. I am unable to see more than 12 feet into an open field. Prone, my neck and shoulders hurt as I crane hoping to see far enough so that I can have some warning of advancing forces. I am sweating out buckets, soaking my Battle Dress Uniform (BDU), boonie hat and underwear as thoroughly as if I had been caught in a thunderstorm. My neck is developing a sunburn because, like an idiot, I failed to put sunblock into my kit. Baking in the sun, unable to see anything, feeling hot, bored and useless, I remember why I left the Army . . .
Rewind a few months. I am very concerned about the lawful lawlessness of Federal State and local governments. Legislation and regulation seem to me to be oriented to favoring the fortunes of politically connected persons and groups rather than the general benefit of all citizens. What they do is legal, but it is immoral. The dustup between Cliven Bundy and the Bureau of Land Management really focused my attention as it made an abstract argument for overbearing government concrete. On one hand, it is clear that Bundy has dug his heels in and is ignoring the rulings of the authorities – he is on the wrong side of the law. 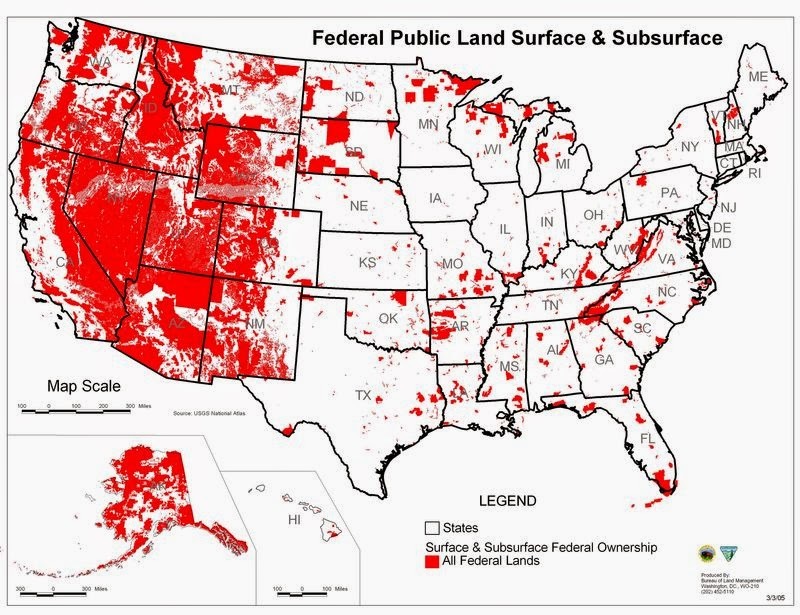 On the other hand Bundy is the only rancher in the area left after years of management by the BLM – an agency supposedly empowered to manage land for the benefit of everyone, even ranchers. I think the Feds are morally wrong and the fines and penalties unjust. Unjust laws ought not be complied with. Even so, I am glad nobody went home limping that day when citizens, joined by militia groups, confronted the BLM agents posting an armed guard on a fence between Bundy and his property. To my eyes, an armed revolt against the Feds is a kind of abyss. In the US, our experience with revolution is mixed. If there is another revolt, I am not sure that what replaces the government will be any better. The track record is sketchy at best. ” A 2010 Pentagon directive on military support to civilian authorities details what critics say is a troubling policy that envisions the Obama administration’s potential use of military force against Americans. The directive contains noncontroversial provisions on support to civilian fire and emergency services, special events and the domestic use of the Army Corps of Engineers. “ This appears to be the latest step in the administration’s decision to use force within the United States against its citizens,” said a defense official opposed to the directive. ” Military assistance can include loans of arms, ammunition, vessels and aircraft. The directive states clearly that it is for engaging civilians during times of unrest. ” A Nevada congressman is calling on elected officials in the state to rid a town in his district of militia members who have rallied around rancher Cliven Bundy in his battle with federal land managers. Rep. Steven Horsford, in an address to the Clark County Democratic Convention in Las Vegas on Saturday, said he’s making the request after hearing more complaints from constituents about the presence of Bundy supporters near Bunkerville, 75 miles northeast of Las Vegas. ” He said a fifth-grade girl told him that Bundy has a “sense of entitlement” and should pay grazing fees like other ranchers who use public land in the West. A man told him that Bundy is a “welfare rancher” living off taxpayer subsidies, Horsford said. ” Every month, Raymond Yowell, the 84-year-old former chief of the Shoshone Indian Tribe in northeastern Nevada, has almost $200 garnished from his $1,150 Social Security check, and it all dates back to a 5:00am phone call on a Friday morning in 2002. That morning, a government official from the Bureau of Land Management told him to come down to a seizure site where the 132 cattle he owned were about to be impounded. When he arrived, men brandishing handguns told him he couldn’t get any closer than 250 yards from his cattle. He watched from a distance as the government loaded the livestock onto stock trailers. Within a week, the cattle had been sold at a private auction – for what Yowell estimated to be a quarter of their market price. The proceeds belonged to BLM, officials told him, paying a portion of the grazing fees he suddenly owed. It wasn’t enough to cover the full debt, and BLM sent Yowell a bill for $180,000. Yowell has been fighting the BLM in court ever since, but while the case moves its way through the system, his Social Security check takes a hit every month. The story, ranchers in Nevada say, is far from unique. Beginning in the late 1980s, BLM adopted aggressive tactics in the West, leading to large-scale cattle seizures and a disruption of life for ranchers that had utilized public lands for decades prior. For a more detailed history of BLM abuse of ranchers dating back to the late ’80’s read the whole thing at Breitbart . It tells a story of arrogance and abuse that you will not find in the mainstream propaganda that needs to be told in order to understand the significance of the Bundy siege and the Fed’s war on ranchers and western landowners in general . Here are Mr Bundy’s unedited remarks . Compare them to the NY Times/Media Matters selective edit above that is the version that has caused all of the uproar and revealed portions of our GOP “allies” to be craven cowards . Much thanks is due to Patrick Dollard for bringing the two versions to light and exposing the MSM’s agenda that is basically a piece of Statist propaganda . Stalin and Pravda would be proud . This isn’t about some old guy’s views on slavery. It’s about government control. We’re not saying Bundy is the messiah and we accept him as our personal savior. We’re saying the government is wrong. Let’s stipulate that Cliven Bundy is a racist. Let’s also assume, if only to save time, that he’s Islamophobic, homophobic and transphobic. So what? Does that make criticizing the Bureau of Land Management “racist” or “homophobic”? During my battles with Canada’s “human rights” commissions, defenders of the racket liked to point out that the people it targeted were generally pretty unsavory. And I’d respond that the reason the standard representation of justice in statuary is a blindfolded lady is because justice is supposed to be blind: If you run a red light and hit a pedestrian, it makes no difference whether the pedestrian you hit is Nelson Mandela or Cliven Bundy. Or at least it shouldn’t: one of the basic building blocks of civilized society is equality before the law. While Kevin Jackson of The BlackSphere has the entire letter from Charlie Delta , other black spokesmen have also stepped up to the plate in defense of Cliven Bundy’s ill-phrased but ultimately correct statement regarding the culture of government dependency that has managed to keep the black community from “fleeing the plantation” for over two generations . While personalities like Glenn Beck and Sean Hannity have fled in terror from the Bundy remarks others with stronger spines have stepped up to explain Bundy’s poor choice of words and to re-iterate the important point that he was attempting to make , albeit in a decidedly insensitive way . Kyra Ann Davis went so far as to create a video that explains the import of Bundy’s point regardless of his ignorant , foot-in-mouth choice of words . Remember , Cliven Bundy is a simple rancher not a polished public speaker and Lord knows we’ve heard plenty of ignorant , racist statements from those who do have plenty of public speaking experience … Joe Biden , Al Sharpton , Jesse Jackson and others immediately leap to mind . Watch Ms Davis’s video below and make up your own mind . Remember that the MSM has a vested interest in protecting the powers that be and in no way reflect the interests of the public at large . They are to all appearances now nothing more than mouthpieces of the State . This is just another attempt to shout “Squirrel” and deflect attention from the larger point that the Federal government becomes more burdensome and overbearing by the day and the average citizen is becoming wise to that fact despite the MSM’s Herculean attempts to preserve the status quo . ” After a lengthy conversation, embattled Nevada cattle rancher Cliven Bundy finally understood the racist tone of his remarks and apologized privately, according to Niger Innis, the national spokesman for the Congress of Racial Equality. Many of those who came to the support of the 67-year-old fled for cover when The New York Times quoted him as saying he was “wondering” if blacks are better off now than they were under slavery. Innis, who is running for Congress in Nevada, told J.D. Hayworth on “America’s Forum” on Newsmax TV that he spoke with Bundy for about an hour on Thursday and finally got him to realize the repugnant nature of his comments. Innis said that he does not believe Bundy to be inherently racist but said that he “clumsily” used a bad metaphor to try and make an important point. ” What would’ve been better is if Cliven had said, ‘Look, there are a number of blacks and Latinos and poor whites now that are involved in a real slavery which is the slavery of government dependence,'” Innis said. “I’m up here in Tonopah, which is part of my district, and I was just talking with a local businesswoman who pointed across the street and talked to me about low income housing or free government subsidized housing and how the people there do not work because they don’t have to. ” Texas officials are raising alarm that the Bureau of Land Management, on the heels of its dust-up with Nevada rancher Cliven Bundy, might be eyeing a massive land grab in northern Texas. “ Decisions of this magnitude must not be made inside a bureaucratic black box,” wrote Abbott, also a Republican gubernatorial candidate. At issue are thousands of acres of land on the Texas side of the Red River, along the border between Texas and Oklahoma. Officials recently have raised concern that the BLM might be looking at claiming 90,000 acres of land as part of the public domain. We reported on this story a week ago with this post as all eyes were on Nevada and now the story has reached the mainstream with the Texas attorney general’s warning to the BLM . Make it worth Gestapo force with guns and hounds? Guess who judges the whole mess? Or a guard dog to protect the sheep you own? Who have ever thought it’d happen here at home? And sheriff, what the Hell’s with you ? Which politician got to you? You protect and serve just who? And how did the Feds respond? Because they lied and fed their spin? As Americans are we to take much more? If what they’re doing is at all legitimate? Just when last did the Senate do its job? Or even your benefit of doubt? Remember, Waco, Ruby Ridge, Kent State ? Will you allow that be our fate? For the nightmare of Big Brother’s coming true! ” As if Bundy doesn’t deal with enough bulls**t, The BLM and the EPA are giving Bundy a truck load of Bovine Manure, and using turtles to do it. Who’s right? Many claim to have all the facts, and all the bull is working great as fertilizer for a field of conspiracy theories. Does Zo claim to know what’s what? No, but he’ll tell you what he honestly thinks. Here more in this Zonation. ” The federal government used draconian methods in its raid involving Cliven Bundy in an attempt to scare the Nevada rancher in their dispute over grazing rights, said former Judge Andrew Napolitano. ” The draconian, authoritarian way that the government is going after Mr. Bundy is obviously to try and scare him, and scare ranchers, and send a message which is utterly un-American and not consistent with a free people,” Napolitano, a former New Jersey Superior Court judge, told “Fox & Friends” on Tuesday. Napolitano said the proper procedure for resolving a dispute would be to file documents in the court system, not through the use of force by the government. ” When you owe the government money, they don’t come with guns and troops. And they don’t threaten the media that are there to cover it. You file a document in the courthouse, and it’s a judgment on the property,” Napolitano said. ” As reported yesterday, hundreds of federal agents are still at the Bundy Ranch and the area continues its status as a no-fly zone. Despite major media reports that the Nevada Bureau of Land Management is retreating, the remaining activity that still surrounds the ranch illustrates a different scenario. Not only is the BLM not actually backing off of Cliven Bundy, Sheriff Richard Mack of the Constitutional Sheriffs and Peace Officers Association has revealed stunning information: on Ben Swann’s radio program, Mack said that he has received intelligence from multiple, credible sources inside the BLM and the Las Vegas Metro that there is “no question” that the federal government is planning a raid on the Bundy home and the homes of their children who live on the property. ” Nevada rancher Cliven Bundy’s decades-long battle against the federal government over grazing rights continues, but it may get worse over a leaked memo that was uncovered in 2010 that reveals an Obama Administration land grab initiative that may spread across other western states, possibly causing the same showdown between landowners, ranchers, and the federal government. The Tea Party Command Center on Saturday uncovered the lost news report where former Republican Senator Jim DeMint raised the alarm back in 2010 of a leaked memo about a planned, 10 million acre Western land grab by the Obama administration of 17 sites in 11 western states. The secret memo stamped, “Internal Draft – NOT FOR RELEASE” was leaked by a Department of Interior official to Utah Congressman Bob Bishop. This report , combined with the recent actions against Cliven Bundy and Kit Laney lend much credence to Ben Smith’s allegations that the Federal government is conspiring to bring about the conditions necessary to declare martial law . ” In 1989, members of China’s Democracy Movement staged a massive protest in Tiananmen Square. In response, the communist Chinese government commanded near-total control over the nation’s media while dispatching heavily armed soldiers and tanks to surround and intimidate the protesters. Today, the U.S. government has dispatched hundreds of heavily armed soldiers, snipers and helicopters to lay siege to a ranch near Bunkerville Nevada, called the “Bundy Ranch,” where the Bundy family has been running cattle since the 1870’s. In 1949, the federal Bureau of Land Management was created, and in the 1990’s the BLM claimed (false) authority to start charging “grazing fees” for Bundy’s cattle. Today, the BLM claims the Bundy family owes over $1 million to the government. • The mainstream media now functions as a total government mouthpiece, broadcasting lies and propaganda such as the false claim that “a protester kicked one of the BLM’s security dogs.” (In fact, a BLM officer verbally commanded the dog to attack the protesters.) This is similar to the Chinese government directly controlling virtually the entire Chinese press. • The massive show of unjustified force, such as positioning government snipers on hilltops around the Bundy ranch, with line-of-sight inside the Bundy home so that shots can be taken to kill the Bundy family. • The deployment of absurd “overkill” hardware: Tanks in the case of China, and government helicopters in the case of the Bundy ranch in Nevada. It has also been reported by Pete Santilli and Adam Kokesh that BLM has hired Blackwater-style operatives to don BLM badges and wade into the scene as soldiers for hire. • The intimidation and silencing of local law enforcement. In the case of the Bundy ranch in Nevada, the local Sheriff of Clark County has the constitutional authority to arrest all BLM personnel for felony theft of cattle and trespassing. Yet he has been intimidated into silence, thereby abandoning his own constituents. In China, officials who were friendly to the protesters were demoted, purged or kidnapped and killed by the Chinese government. Natural News has much more on the powder keg that is Bunkerville . This letter sent to Jim Stone paints an ominous picture of Federal motives and reveals them for the thuggish thieves that they are . The BLM was going to sell the cattle at one of the smallest cattle markets in Utah.No cattle markets in Nevada would take the cattle without a properly signed brand inspection (which the BLM cannot obtain without Cliven Bundy’s signature). The BLM paid the owner of the Utah cattle market $300,000 to do the sale (‘R’ Livestock Connection in Monroe, Utah, owned by one Scott G. Robbins, according to the Utah Business Entity Search). Utah Governor Herbert stepped in and forbid them from bringing the cattle into Utah without the legally required health and brand inspections (which again, require Bundy’s signature) and that no feral cattle are allowed to be imported at all (per Utah statute). Because Bundy claims ownership over maybe 350-500 head of branded cattle, the other 500-700 estimated head of cattle would all be considered feral. BLM officially backed off, but we suspect they are still secretly shipping them through Utah without any permission to do so, to “private” buyers in Colorado. The contract cowboys that the BLM hired to do the roundup are from Sampson Livestock in Meadow, Utah (traitors one and all). Gripping Speech On Behalf Of Rancher: Which One Of Us Will Snipers Shoot? Speaking this week before a packed town hall meeting in Moapa, Nev., with Bundy looking on, the unidentified man offered a gripping account of the dangers residents face, demonstrating why the impasse remains a powder keg waiting to explode, according to a video of his remarks. Read Dana’s entire piece and consider that whenever something dirty is happening in Nevada up pops Dingy Harry Reid’s name . ” Sheriff Richard Mack joins Gary Franchi and responds to Governor Sandoval’s failure to tell Feds to stand down at the Bundy Ranch during their administration of State Sponsored Terror. ” Armed Rangers were brought in from out of state by the Bureau of Land Management (BLM) to assist in security surrounding the Bundy Ranch, according to the family. A heated confrontation on Wednesday resulted in Cliven Bundy’s son Ammon being tasered by BLM officials and a 57-year-old protester being shoved to the ground. Stetsy Bundy Cox, Cliven’s daughter, told the Washington Free Beacon that some of the rangers had Oregon and California license plates.